NRS Men's Crossover Short Sleeve Shirt - The versatility of the NRS men's Crossover shirt is unmatched! 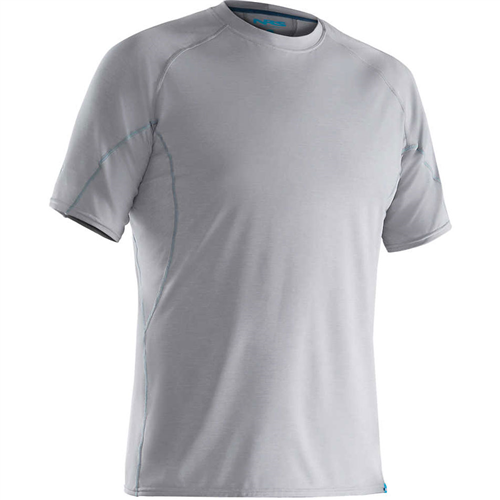 The Crossover is an extremely comfortable performance shirt as well as a great base layer. The UPF 45 MicroLite Light-weight nylon/spandex blended fabric wicks away moisture and dries quickly to keep you comfortable even in the hottest weather. 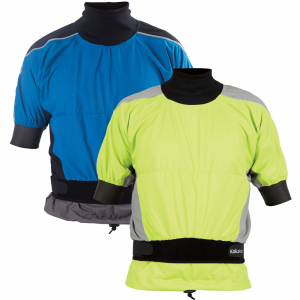 UPF 50+ HydroSilk panels are added to the top for extra sun shielding where you need it the most. With a crew cut collar and a relaxed fit, youâ? 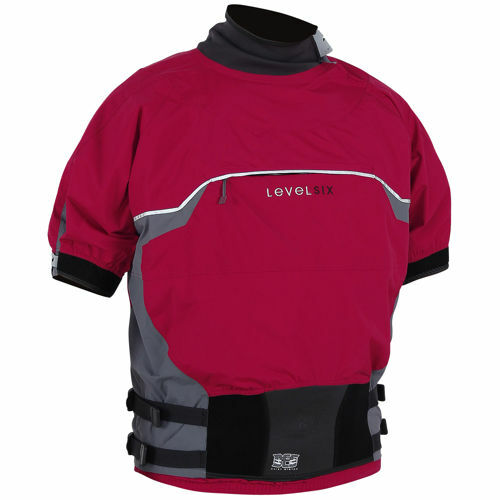 ?ll enjoy great comfort and protection while staying comfortable and stylish. The Crossover shirt also makes a great cold weather layering piece under thicker layers. No matter the season or location, you'll want to pack your NRS menâ? ?s Crossover shirt. Equally comfortable during the paddle or sitting around camp, the NRS Crossover rashguard T-shirt helps you stay cool in the sun thanks to its quick-drying, moisture wicking fabric. 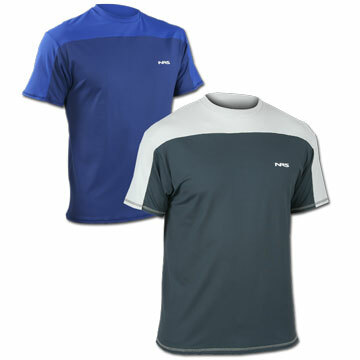 Nylon and spandex fabric provides UPF 50+ sun protection on the shoulders, and UPF 45 in the body. Flat-stitched seams minimize chafing. 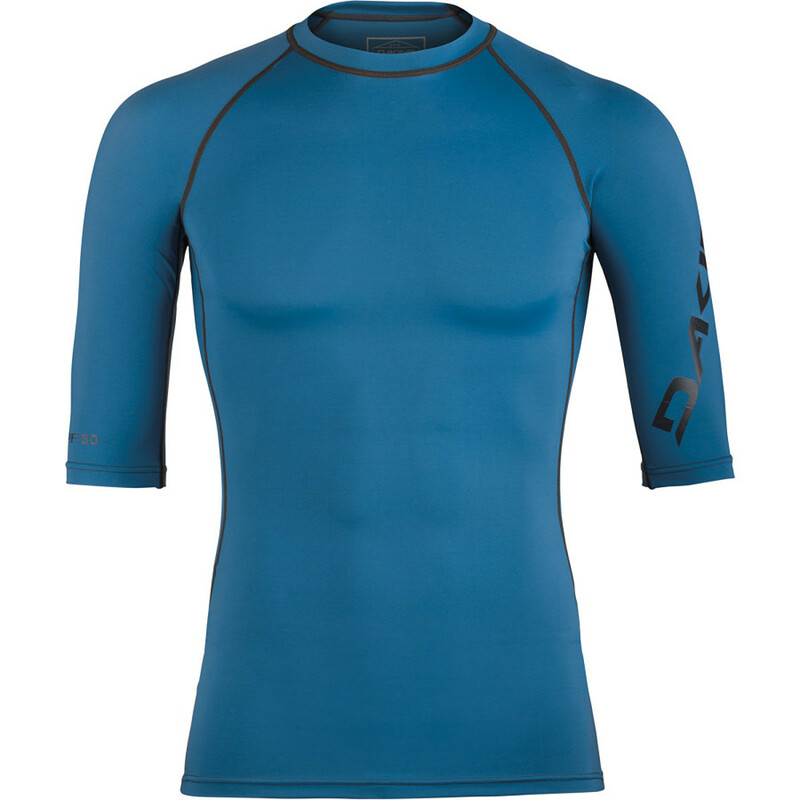 The NRS Crossover rashguard T-shirt offers a relaxed fit. The versatility of the NRS Crossover Tee Shirts is unmatched. 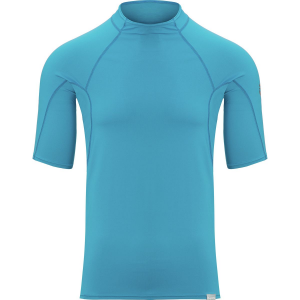 It's a great base layer and an extremely comfortable shirt that wicks moisture and blocks UV rays from the summer sun. Our UPF 45 MicroLite fabric in the body of the shirt wicks away moisture and dries quickly to keep you comfortable in the hottest weather. 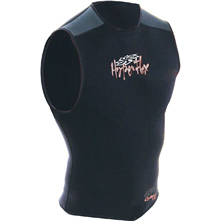 Weve added UPF 50+ HydroSilk panels to the top for extra sun shielding where you need it the most. Lightweight, breathable, and folds compactly so as not to take up precious dry bag space. Crew-cut collar, short-sleeved, comfort, style and protection from the suns harmful rays. Made as the ultimate baselayer for paddling, the NRS Crossover Tee works perfectly as a warm-weather paddling T-shirt or hiking shirt. However you choose to use it, this short-sleeve tee packs up compactly to take up the minimum of space in your drybag or pack. The NRS Men's Crossover Shirt is not available from the stores we monitor. It was last seen July 13, 2014	at NRS.